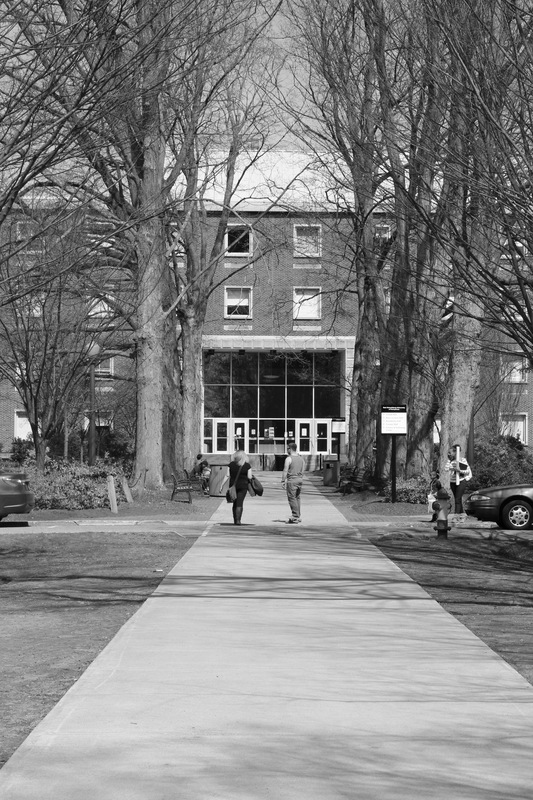 Outside Stroud Hall as the semester begins to wind down. After five long years, I have finally reached the end of my college years. College has been quite an experience for me. While I did not get to do half of what I wanted, I have grown a lot academically and personally. I am pretty sure half the other students who will graduate with me can say the same. Somehow we all got through it and have finally come to celebrate the day where we can call ourselves East Stroudsburg University graduates. I admit my time at ESU was short. As a transfer student from Northampton Community College, I did not get the full university experience like many others, but many of the experiences I have had were life changing. I will miss going to class and being part of ESU’s English department. I have had some amazing professors who have made some of my classes incredibly awesome. Ever since I saw the campus as a little girl, I told myself that someday I would be there, and years later, I finally got to be a part of the whole experience. I know that ESU has gone through a lot this past year and complaints of Enrollment Services will probably never end, but I am glad I had the opportunity to be a part of ESU. As for other graduating seniors, they have had their own ups and downs during their time at ESU. Jessica Moyer, education major, will miss the college family she made over the last four years. She will miss how close they were and the good times they had. “To be honest, I’ll miss learning in classrooms because now I am teaching in classrooms,” Moyer said. Megan Ehrig, history major, says that while she won’t miss the homework, she’ll miss going to class. “I absolutely loved just going to class and learning, especially about subjects pertaining to my major,” Ehrig said. It’s been a long and difficult road, but through all the stress and the struggles, and the all-nighters, we finally did it, and I am so glad that graduation day is finally here. While there have been times of trouble and confusion and self-doubt on whether or not I would graduate, I can honestly thank East Stroudsburg University for helping me on my journey; and what a journey it has been! I began my academic learning in preschool when I was three years old, moving slowly through elementary school, junior high, high school, and then finally the last five years of college. So after twenty long years of homework and classes, I am tired, but happy for overcoming frustrations and confusion, and accomplishing requirements for success in my academics. Let us thank everyone at ESU for all their hard work! Congratulations graduates!